If you are looking for a simple shape with fun detailing, the Carved Circular Crystal Awards are your solution! Available in three size options, these clear crystals feature faceted edging and space for your logo and message, sandblasted for free! 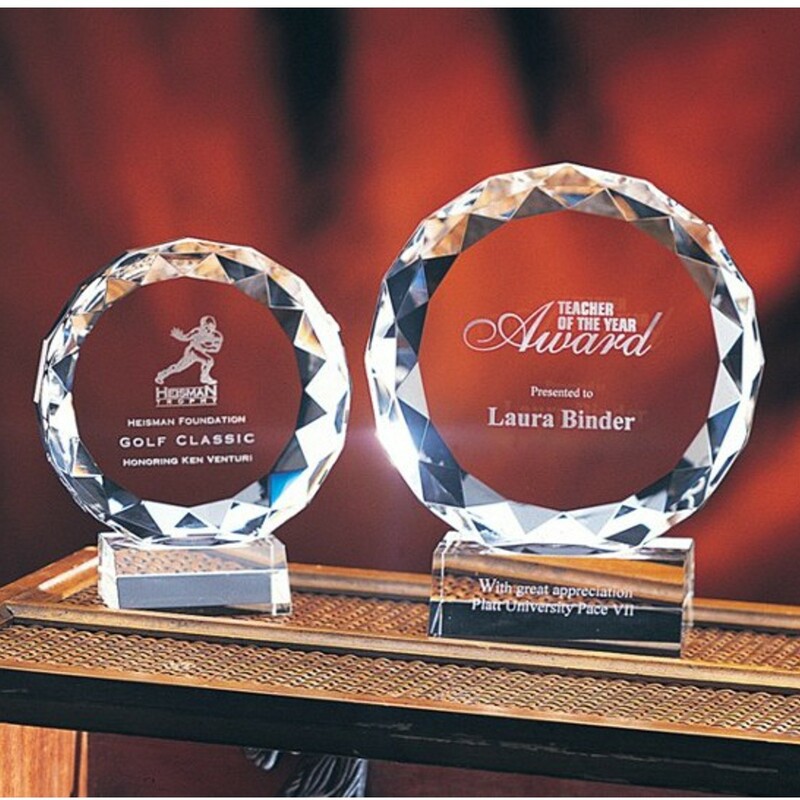 Attached to a rectangular base, these awards will catch any light. Small: 4", Medium: 5", Large: 6"
Small: 3", Medium: 4", Large: 5"